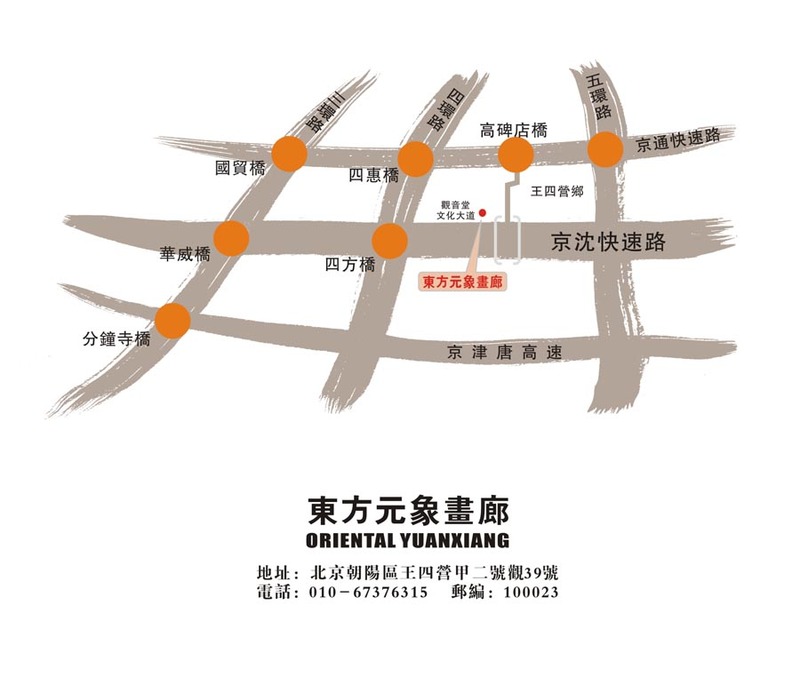 I have a group exhibition with 13 other artists, this Sunday, December 17, at 3 p.m., at Oriental Yuanxiang Gallery in Beijing. Below is a map to the gallery. Their phone number is 6737 6315, so when you take a taxi, you can let the driver ask the gallery for directions. This entry was posted on Friday, December 15th, 2006 at 3:02 pm	and is filed under Artwork, News. You can follow any responses to this entry through the RSS 2.0 feed. You can skip to the end and leave a response. Pinging is currently not allowed.